my girls have a perfectly fantastic ability to collect stains on the sleeves and cuffs of the tees we use for layering... so we have quite a few tees lying around that could use a little pick me up! i have seen cute fancy-sleeved tees in boutiques and online shops and when i spied the same sort of lace used on those frilly shirts at my local hobby lobby, i couldn't buy that lace and get home fast enough, itching to transform some plain ole used up tees into something really fun for my girls! 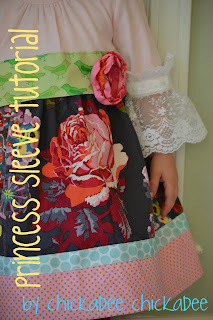 the project was so easy and the results so well-received by my kiddos (who are, by the way, attracted to anything even the least bit princess-y), that i wanted to pass along these simple instructions to you all! (i am using a new tee here but used ones are perfect too!) I love my rotary cutter and straight edge, but you will be fine without those--just use scissors and make as even a cut as possible! they carry cream, white and black in this style. they also had some even fancier laces that would look precious for a dressier outfit. if you don't have a hobby lobby nearby, you can order it online and still use a 40% off coupon! i couldn't find this same lace at any other local stores, but you might have better luck than me! i purchased two yards of the lace so i would have plenty to makeover a few tees for each girl. alright, on to the tutorial! ~lay your lace on top of the sleeves to get an idea for where you would like the hem of the lace to fall. i chose to make the top have more of a 3/4 sleeve, so i decided to position my cut about 7 inches in from the bottom of the sleeve. ~place your straight edge along the sleeve at the point where you decided the lace would look best. ~and chop that sleeve cuff off! ~now lay your lace once more on the sleeve, this time to get a feel for how much lace you will need for each sleeve. my sleeve was about 3.5 inches wide when folded, so i cut 8 inches of lace for each sleeve. be sure to cut at least .5 inch more lace than sleeve width to allow for the seam you will create on the lace. ~so here is what you have now! ~fold your lace in half, right sides together and pin, making sure that the edges line up. 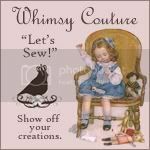 ~ sew the right sides together in a straight line with at least a 1/4 seam allowance. ~now flip it right side out so that this is what you have now. ~to give the lace more security, fold your seam allowance to one side and top stitch so you have lace that looks like this now! ~now pin your lace to your sleeve. match the seam of your lace with the seam on the sleeve so that both seams are on the underside of the arm. the ribbon band is the perfect guide--just line up the bottom edge of the ribbon with the edge of your sleeve. ~now sew very carefully, attaching the lace to the sleeve, but being careful to only catch the portion you are working on. i lined the edge of my presser foot up to the edge of the lace to be sure that i caught the lace and the sleeve when sewing. ~once you work your way carefully around the entire sleeve, examine the inside of the sleeve to be sure that you caught both layers. if you missed any portion, just go back and sew that section together--the extra stitching will not be noticeable--just be sure your thread color matches your lace! now repeat with the second sleeve! and viola! 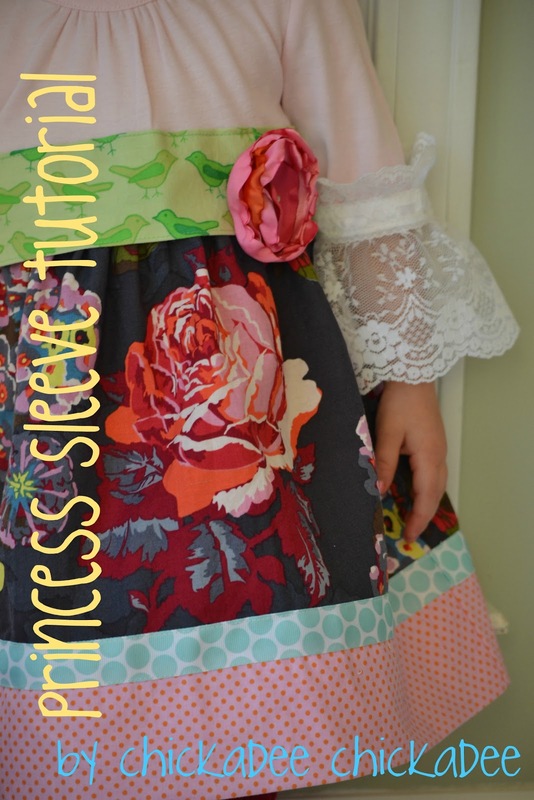 your princess sleeve top is all ready for wear! it's guaranteed to be a hit at the ball or on the playground!! 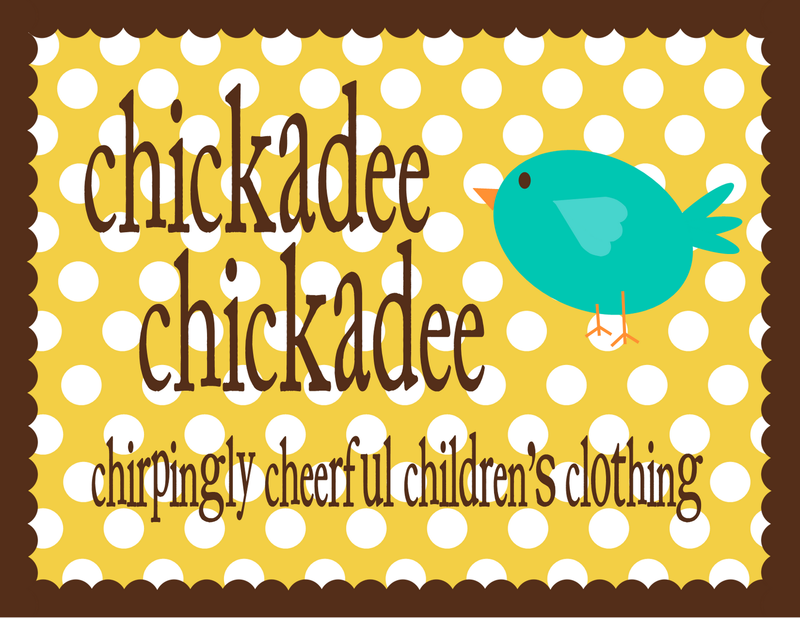 if you decide to revitalize any tees, i'd love to see your finished projects, so send me an email at chickadeechickadeee at gmail dot com! Thank you!!! Stella has those same See Kai Run's...in a couple colors!! Love them!! great project. thanks for sharing on HDH! So very cute! I have not done this with lace, but now I think I might! Thanks for sharing.